Ninety-three percent of MIPS (Merit-based Incentive Payment System)-eligible clinicians received a positive payment adjustment for their performance in 2017, and 95 percent overall avoided a negative payment adjustment, according to a CMS (Centers for Medicare & Medicaid Services) announcement today. 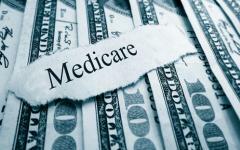 The first year of MIPS under MACRA’s Quality Payment Program (QPP) was dubbed by CMS as a “pick your pace year,” which essentially enabled clinicians to avoid payment penalties as long as they submitted at least the minimum amount of quality data. As such, in its announcement, CMS did admit that the overall performance threshold for MIPS was established at a relatively low level of three points, and the availability of “pick your pace” provided participation flexibility through three reporting options for clinicians: “test”, partial year, or full-year reporting. CMS said that 93 percent of MIPS-eligible clinicians received a positive payment adjustment for their performance in 2017, and 95 percent overall avoided a negative payment adjustment. CMS specifically calculated that approximately 1.06 million MIPS-eligible clinicians in total will receive a MIPS payment adjustment, either positive, neutral, or negative. The payment adjustments for the 2017 program year get reflected in 2019.